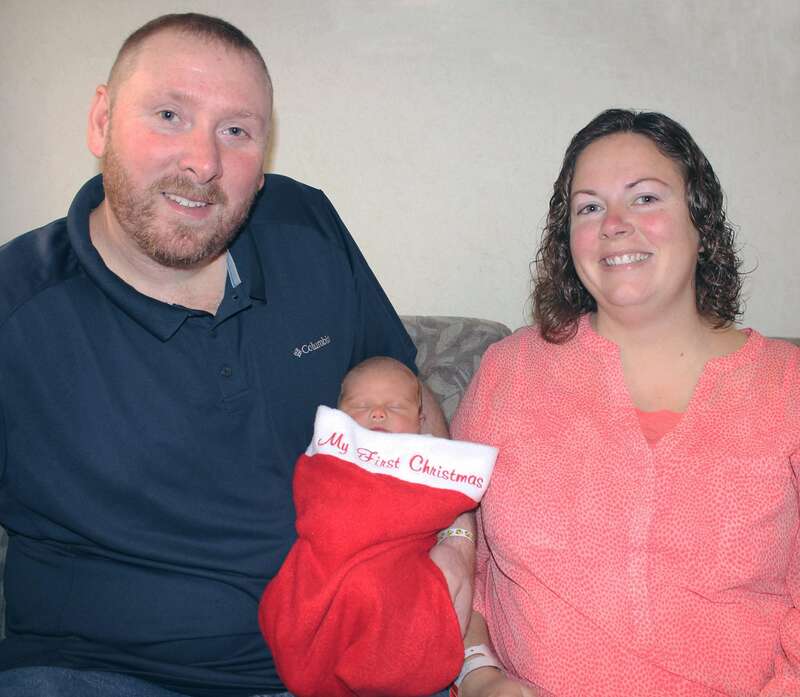 For several years, the RMC Auxiliary has donated a special memento – a red, fluffy “My First Christmas” stocking – to all infants born at Regional Medical Center (RMC) during the month of December. The Auxiliary partakes in several fundraising efforts throughout the year to fund the purchase of the “My First Christmas” stockings, yarn for baby caps, crayons for coloring books, and stuffed animals for pediatric patients. This year, these holiday babies also received a handmade stocking donated by the William and Mary Ann Jaeger family. 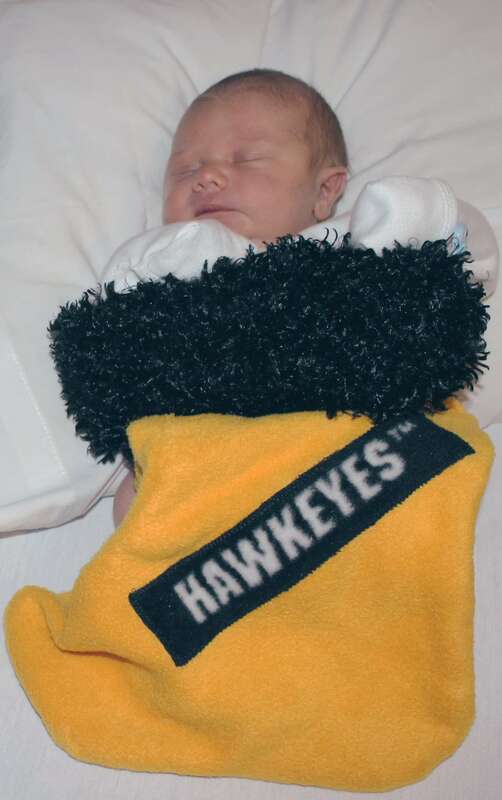 This is not the first OB donation by the Jaeger family in 2015. They also donated the new Jaundice Meter this spring in honor of their mother. RMC and the Obstetrics staff appreciate the generosity of these donations, and want to thank the RMC Auxiliary and Jaeger family for making this holiday season even more magical! RMC employee Keith Nuehring, his wife Cyndi, and new son Kyle Ambrose are among the families who received the stockings in December.